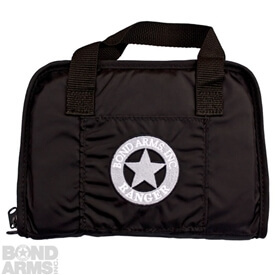 The Bond Arms Range Bag is the perfect thing to bring your Bond Arms handgun and all of your gear wherever you go. 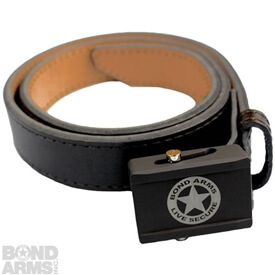 It is made from a strong nylon to assure a lifetime of use. 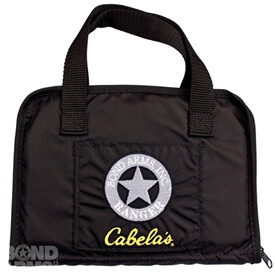 The bag features a main inner pocket for your firearms, safety gear, ammo or whatever you may need. 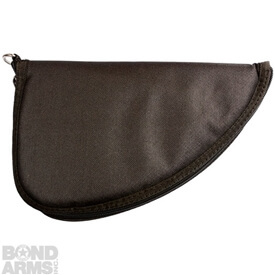 Then on the side, there are pockets for things like your extra barrels.